Dragify makes it easy to build websites without coding. Get a lifetime subscription to the service, on sale now for 91% off! Building your website doesn’t require an extensive understanding of coding. 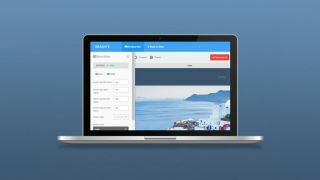 Dragify makes it easy to just drag and drop your site into existence. Get a lifetime subscription to this powerful yet simple website building service for just $24.99 (approx. £20)! You don't need to be an expert in web design or learn a coding language to get your website online. With Dragify, all you need to do is drag and drop pieces into place. With 44 pre-built elements to move around, you can get the perfect set-up in a matter of minutes. And if you want to get down to code-level customisation, you can tweak the site any way you want before putting your site live. A lifetime subscription to Dragify usually costs $299, but you can save 89% off the retail price. That means you’ll pay just $24.99 (approx. £20) for the perfect tool to build beautiful sites quickly and easily!